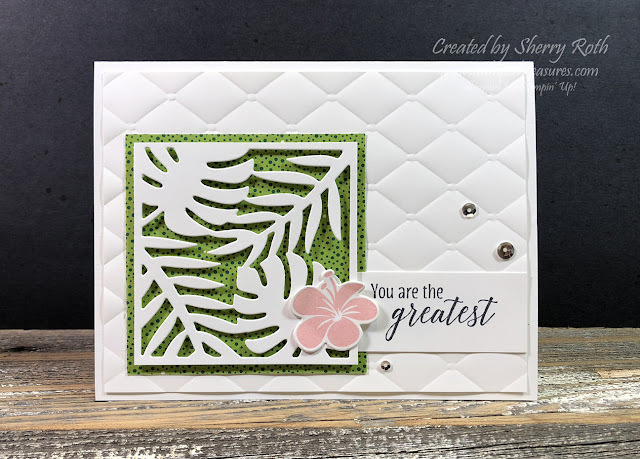 Continuing on with projects created with the Topical Escape dsp, I've got two cards to share with you today. 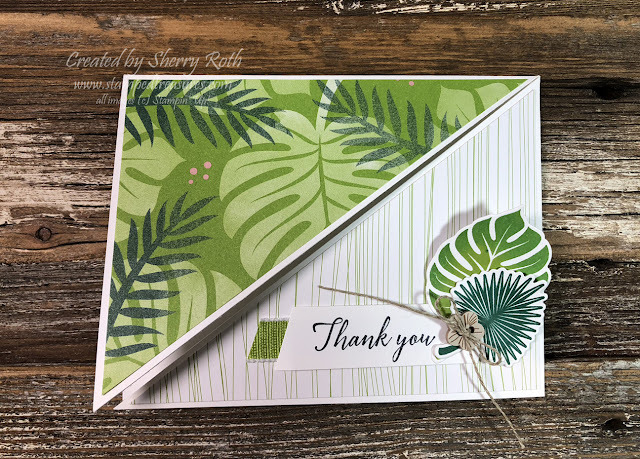 The first one is an alternative to a card I did at my recent fancy folds class. I changed up the supplies I used and the orientation to create today's card. I share how to create this fun fold in this video (also included at the bottom of this post). The second card today is the one I created as my Alaska Cruise incentive trip swap. I'm probably posting a little early since the cruise is only starting today. But everyone who is getting one is busy and not looking at my blog so I figure it's ok lol. 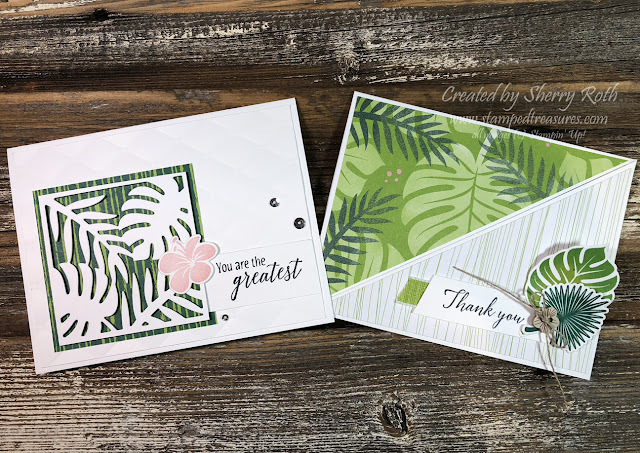 Be sure to comment on the Youtube video or on the Facebook post with the link for the opportunity to have these two cards sent to you (you must live in north america in order to qualify). I will send you a package of red rhinestones with your thank you card.